Since its introduction, Smackdown has been setting all-new performance standards for castability and performance. This amazingly thin diameter line is made with 8 ultra-thin, micro-weave strands in a round, smooth-casting profile for smooth and exceptionally quiet, laser-like casts. And you get exceptional knot and tensile strength with unparalleled abrasion resistance. 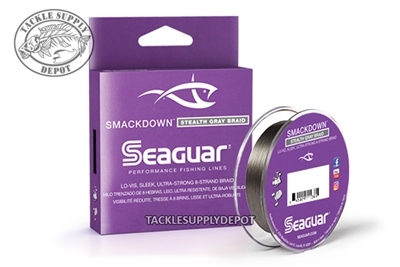 Lo-Vis Smackdown Stealth Gray reduces line visibility, making presentations more natural.